Objective: This lesson plan teaches guided reading, sequencing, and language arts. Students learn vocabulary terms, and word recognition by using word wall strips and flash cards. The concept of prediction based on observation is introduced. Prior Knowledge: This lesson builds on vocabulary development, fluency, sequencing, and word recognition skills. What did he decide to do about the holiday? What size was the Grinch’s heart at the beginning of the story? How did the Grinch try to stop Christmas? How are some ways your family celebrates holidays? How did the people of Whoville celebrate Christmas without trees, decorations, or presents? What size was the Grinch’s heart at the end of the story? The goal is to introduce vocabulary words, and teach a message of anti-consumerism. When one of these words appears in the story, stop and briefly define it. This makes the story clearer to the students and helps them recognize and retain the words. Make flash cards from 3×5-inch blank index cards. Print each word neatly on the front of the card, and glue an appropriate picture on the back. Laminate the cards for durability. Word wall strips can be made the same way or by writing the words on self-stick address labels and letting the children affix them to poster board. Free Grinch printables can be found by searching the term "Grinch" on the Internet. Christmas, hear, flue, coo, sour, mistletoe, feast, stockings, speck, reindeer, trimmings, frown, sneer, ramshackle, carved, crumb, tinsel, sleigh, singing, glee. Try these books in the classroom or at home to extend the teaching and retention of this lesson. Using this lesson plan helps teachers stay on track and cover major points of the book. This classic children’s book is the perfect way to teach children skills like word recognition, fluency, and prediction, while learning about the true meaning of Christmas. For other lesson plans based on this book, see this art lesson. 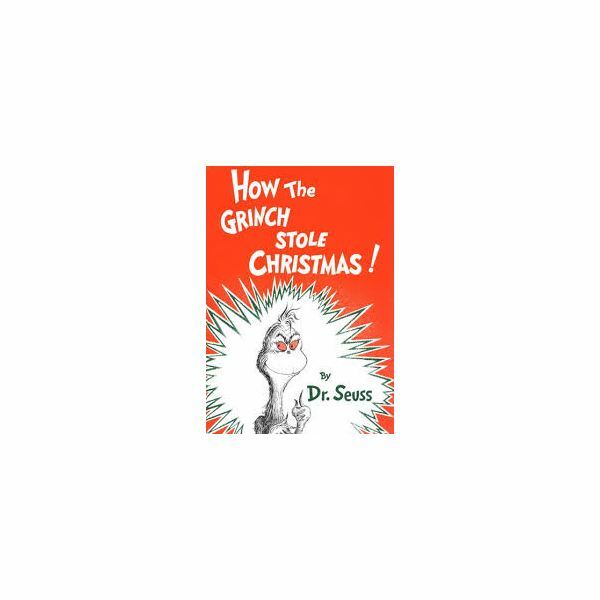 These teacher lesson plans form a unit study for the children’s book How the Grinch Stole Christmas by Dr. Seuss. These elementary lesson plans include sequencing activities, vocabulary development, and an age-appropriate art project.